Violin Student Central NEVER releases contact information to third parties without your permission. I don't sell contact information to anyone. If you subscribe to Violin Student Central's newsletters you may have your name removed from the mailing list at any time. If you feel you have been inappropriately contacted, please e-mail us at the address listed above or write to us at the above address so that we can investigate and correct matters. All That Counts is That You Play. Let everything that has breath praise the LORD . Click Here to Bookmark ViolinStudent.com. for Violin Fun and Info! Play this month's Violin Game. for Violin Students and Teachers! Who is Violinist of the Month? The importance of the violin cannot be overemphasized. 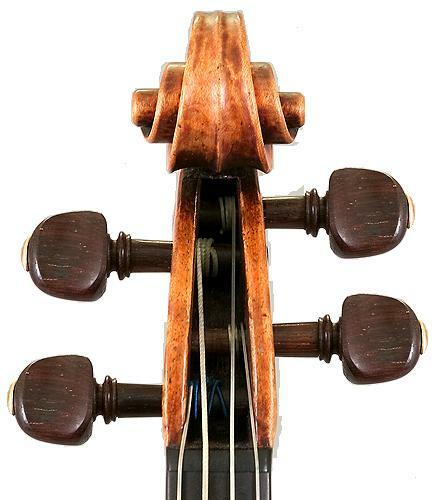 Ever since it was invented, the violin has played a significant musical role. Violin makers like Stradivari and Guarneri built masterpieces. Violin virtuosos like Paganini, Ysaye, Stern, Heifetz, Bell, and Hahn bring those instruments to life. Whether classical, Bluegrass, country, jazz, Cajun, rock, or almost any music genre, the violin is always significant. The violin is rightfully the King of Strings! Violin Student Central is a place for violinists of all ages and experience levels to gather to learn and to have fun. See Viola Jokes on Squidoo! Music History, Student Violin Tips, Shirts and Gifts, Games, Violins, Accessories and Sheet Music. Here We Have Fun Celebrating the Greatest Instruments . . . the Violin! Tuning Tones On Your Computer! Please take a moment to Sign Our Guest Book and Answer a Few Questions to Help Us Know Our Visitors a Little Better! Thank You!